We see an occasional question about search indexing, and visitor activity, in Blogger Help Forum: Learn More About Blogger. How do I find out what search queries are used, to bring my new readers, to my blog? This owner is thinking about how to get more traffic - the right way. The Stats log for this blog shows 10 of the most popular posts, as the 10 most popular search terms. No search terms are visible - just post URLs? This used to make me somewhat depressed, as I had the idea that this blog has no search relevance, except with people who already know about the blog. In other words, I was apparently getting no traffic from search hit lists. In reality, I was simply seeing more repeat traffic, than new traffic. And, since the blog has more than 10 popular older posts, that is what populates the "Traffic sources" - "Search Keywords" display. Browsers which use one window for address and search will confuse you. If your readers use a browser that combines the "address window" and the "search window" functions, as Chrome does, you may find that people pasting or typing blog addresses, into the browser, cause search engines to confuse that activity with search traffic. Since your better known posts will be read more than the newer posts, those posts may be the ones which show up in the Stats logs. Recently, Blogger broke search engine indexing, for many blogs. A couple weeks ago, Blogger changed their feed / sitemap infrastructure, and broke search engine indexing of large blogs (blogs with more than 500 posts). For several days, this blog had less than half of the posts being indexed. Going by the suggestion that the search hits were from people who already knew about the blog (as reasoned above) - and with search hit list activity normally producing insignificant traffic - broken search indexing would have made no difference to the traffic levels, for this blog. This blog saw a 50% traffic reduction, even with no presumed search relevance. Oddly enough, traffic to this blog dropped by about 50% - and has recovered only in the past week or so, as indexing returned. 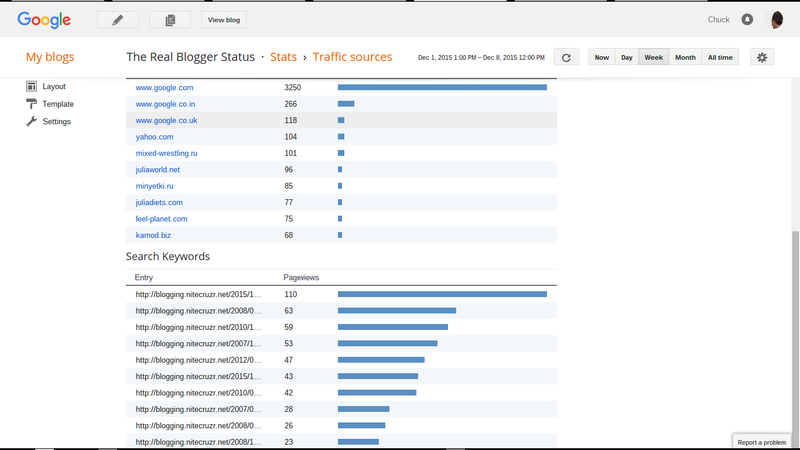 This shows me that search engine indexing is important - it just may not be as visible, for large blogs, using Stats. If your blog has over 500 posts, and has lots of popular older posts, you may experience similar confusion. 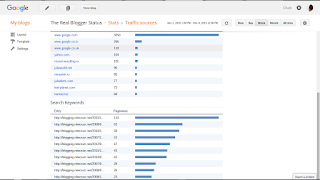 Use a second or third visitor log, for better understanding of search traffic. Considering all that, you may wish to consider using one or more alternate visitor logs. Some third party visitor logs - or maybe Google Analytics or Search Console - may show you more search details. Oh, thank you for this post, I couldn't understand why the number of visitors dropped so dramatically, also around 50% for me.